Pretty Banner is now Ch Banner! 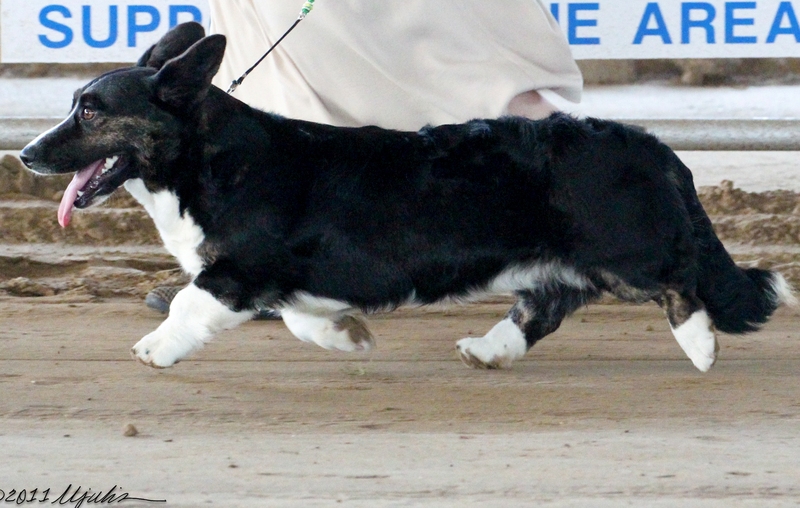 Banner finished at the West Texas Kennel Club on 2/11/11 earning her final 2 points under Judge Gloria Kerr. I’m so happy that when I went to Arylan to pick up a puppy that Harry insisted I needed to take Banner home with me too. She took a bit of time to mature and had one puppy point win but once she grew up she picked up the next 14 points in a flash. Except for a few puppy classes Banner was show exclusively from the AKC Amature Owner Handler class and will qualifiy for Eukanuba 2012 as my 1st AOH Champion. 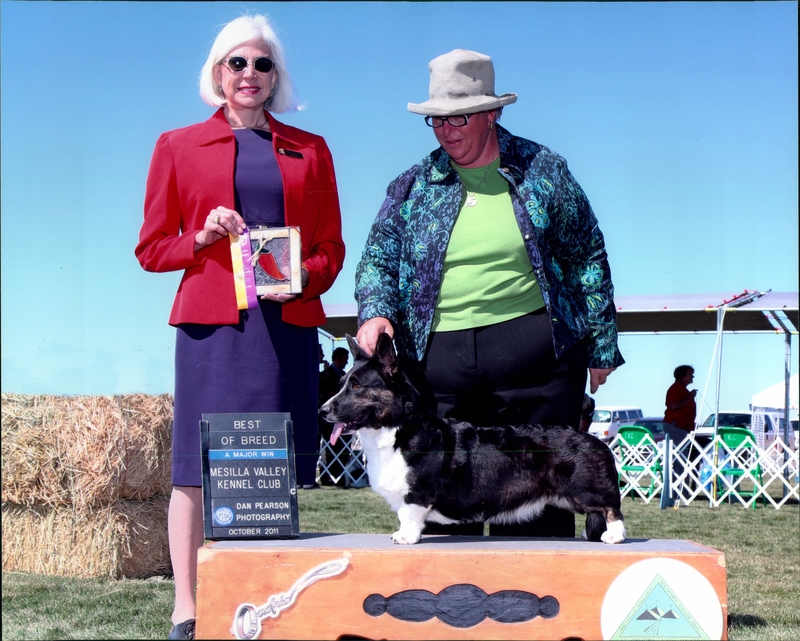 Banner shown here winning the Breed for her 1st major under Judge Jan Paulk. Thank you Ms Paulk for getting her started. Banner will now enjoy her favorite activity of acting as my arm rest on the sofa and counting her stuffed toys. Now that she is over 2 years old she will finish her health tests in anticipation of motherhood later in the year. I’m still on the hunt for the proper match that will complement her wonderful qualities. I hope that like her momma Chickie she will do her greatest winning in the whelping box. Huge Congrats to the pretty Banner girl!